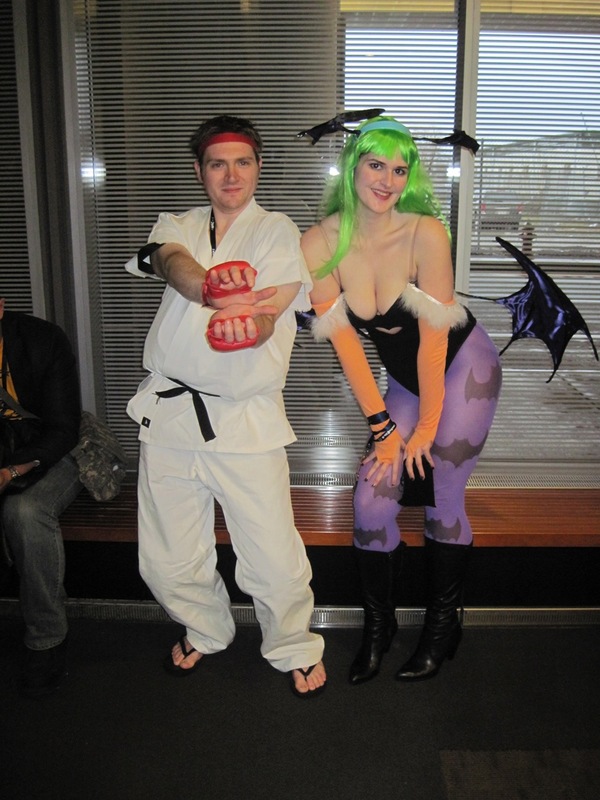 Dude, that's actually Morrigan, a character from Darkstalkers and many other Capcom games. She's one of the most popular characters with cosplayers worldwide. Seriously, Joker Batgirl combo? Who doesn't know Morrigan?